Lancer Ltd. was founded in 1975, specializing in microfilming medical records and supplying pegboard forms to the medical profession. Over the next 41 years, Lancer Ltd. evolved into one of the largest suppliers of HCFA Forms, envelopes and custom forms to both the medical and dental professions. Over the last few years we have continued to grow and have added product lines, such as full color commercial printing and promotional products. Lancer Ltd. provides superior quality service and products to valued customers at reasonable prices. We are competitive with other firms, but most importantly, we add value to the products and services we provide! 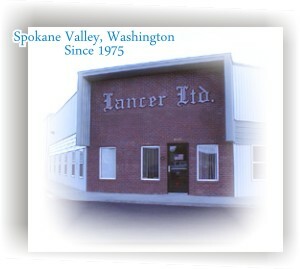 Lancer Ltd. specializes in computer/business forms, filing equipment and filing supplies. We have full-color printing available in house and can supply brochures, statements, envelopes, invoices, flyers, business cards, letterhead, and custom printed materials. We can also supply any of your promotional product needs. We also have a complete graphic design department to help you present a professional image to your clientele. Our satisfied customers, coast to coast, Alaska, Hawaii, and Canada, can attest to our success in providing quality products at a competitive price.